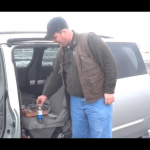 Where to sell a car or van in Salt Lake City, UT – The dirtiest van we’ve ever bought! Posted March 5th, 2014 by CarSoldForCash & filed under Uncategorized. A lot of people say, “What kind of cars do you buy?” We buy all types of vehicles. If you want to know where to sell a car or van in Salt Lake City, UT give us a call! We have to tell you that this is one of the dirtiest vans Big Tane has ever seen in his life! What can we say?! He should have found some rubber gloves and a haz-mat suit to go through the contents of this van! A picture is worth a thousand words but this van needs more than a thousand words to explain the STUFF found in this car. When people wonder where to sell a car or van in Salt Lake City, UT they know it’s a good choice to call Big Tane and the family at CarSoldForCash.com. We can handle ANY car in ANY condition. No problem! We buy them any way we get them. Take a look at this video! Here is the dirtiest van we’ve ever bought. Adventures in car buying never end when people sell a car or van in Salt Lake City to us! We didn’t think we would need a haz-mat suit but this van just might call for it! WE FOUND EVERYTHING IN THIS VAN! … have you ever seen a BROWN string cheese before?! If you are wondering where to sell a car or van in Salt Lake City, UT – You have found the right people! 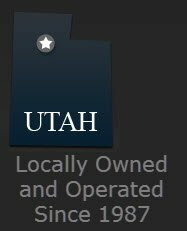 We are a local, family owned and operated business here in Salt Lake City and will buy your car or van in any condition. As we always say, RUNNING OR NOT – HERE WE COME!! Remember, we will be giving 6 (yes SIX) cars away this year. This is not a “Promotional Giveaway.” This is a REAL free car GIVEAWAY!. We are looking to help some local people who could really use a car. Not only are we looking to help people out who are wondering where to sell a car or van in Salt Lake City, UT. BUT we are giving away a REAL, FREE car on St. Patrick’s Day! March 17th 2014 will be our first giveaway! Just fill “not applicable” if there are any social media services that you do not use. Facebook is required, however.